Spend a Penny with Pudsey! Mrs Morrison has delighted the children today by announcing how Abbots Green will be raising money for Children in Need this year. 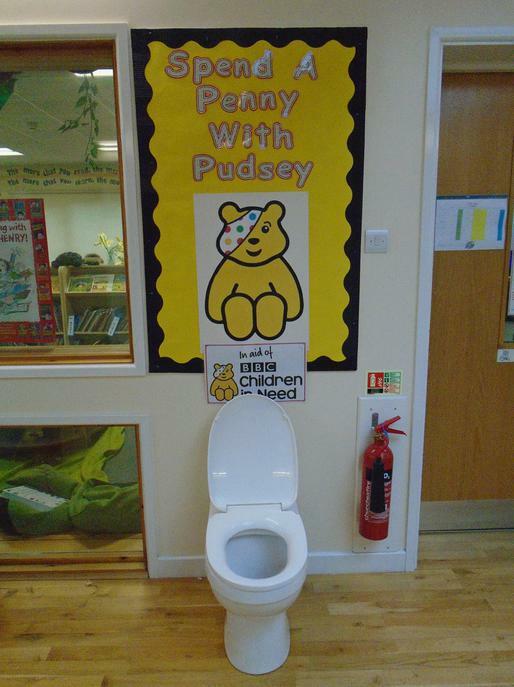 The children have been asked to bring in loose change and to 'Spend a Penny with Pudsey' by depositing their coins into our toilet! Our aim being to fill the toilet to the brim by Friday. Watch this space to see how we get on!